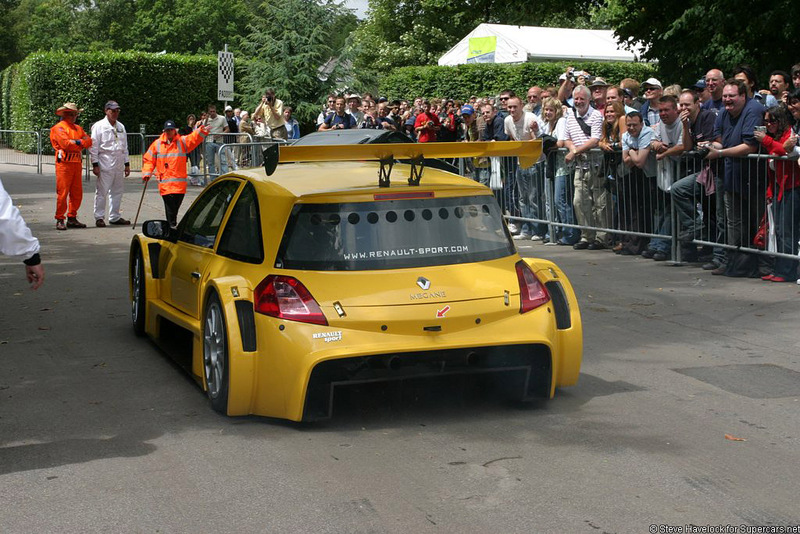 Continuing the sporting tradition of the Renault 5 Turbo, Alpine, Spider and Clio V6, all of which made their marks on European race tracks over the last 25 years, the MÃ©gane Trophy – unveiled at next week’s Paris Motor Show – is set to take to the grid in 2005. 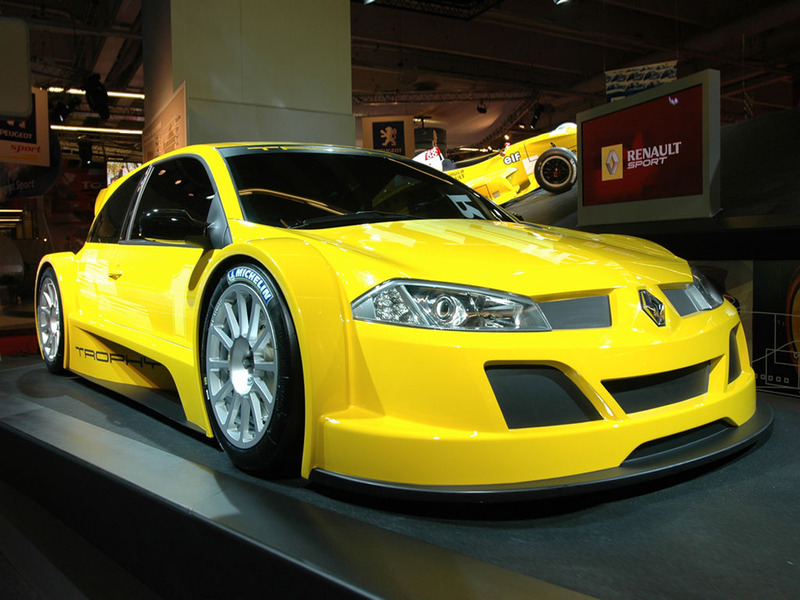 Renault designers have taken the Megane Renaultsport 225 and refined its sleek lines to come up with a silhouette racer resembling the awesome German touring cars. 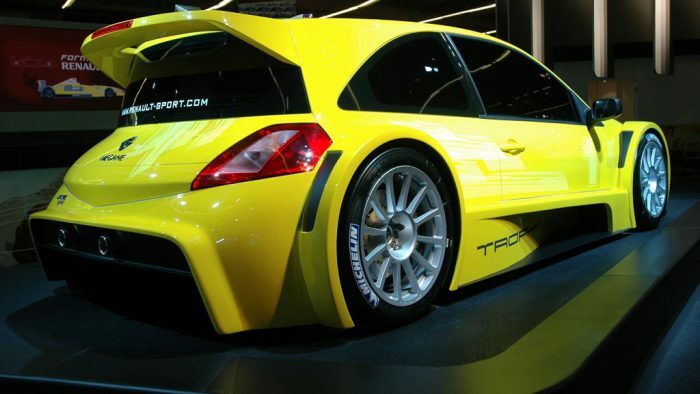 It’s bodywork – lowered by a full 10 centimetres – widened wheel arches and rear diffuser combine to give the 155mph plus Megane Trophy incredible looks and a powerful stance. 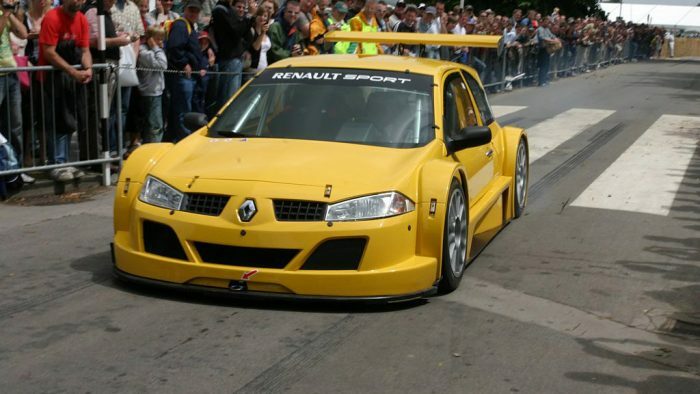 Renaultsport’s latest offering pulls out all the stops to deliver a powerful product with single-seater values. 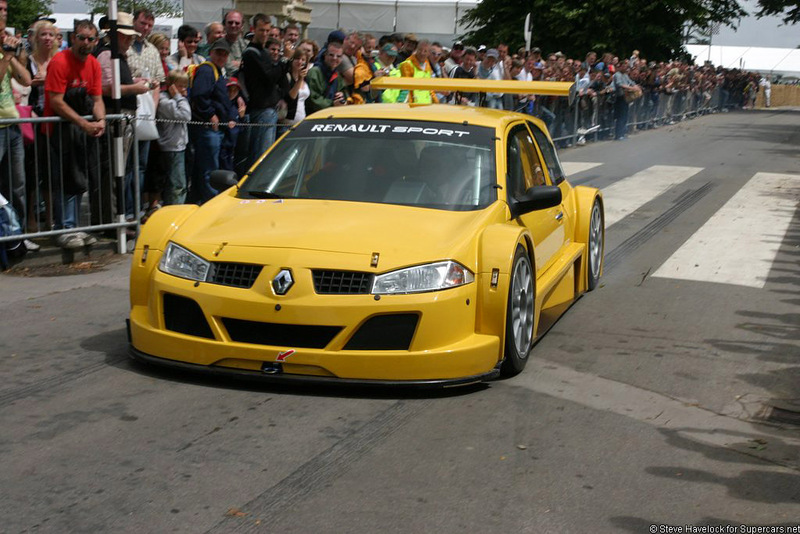 Its tubular chassis, mid-engined V6 powerplant and semi-automatic gearbox make this a top level racing machine. 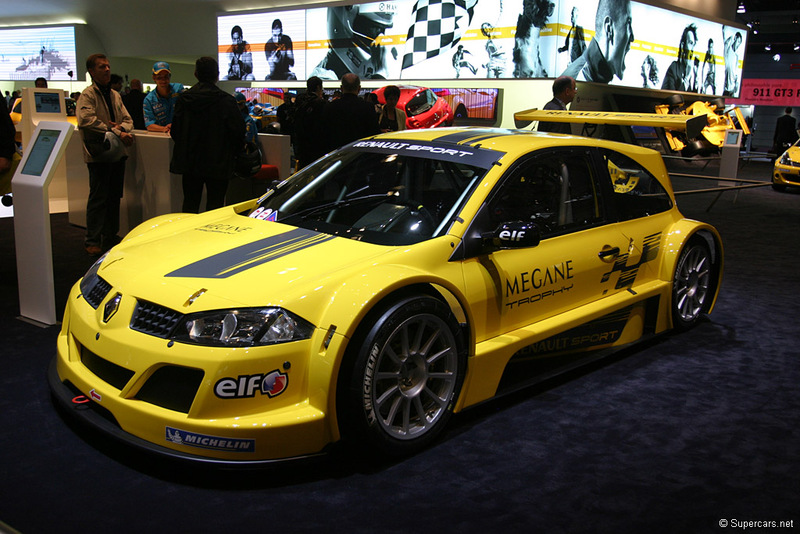 The 3.5-litre V6 engine fitted to Espace and Vel Satis powers the engine of the Megane Trophy but in this case, the unit develops more than 320hp and features semi dry sump lubrication. The Megane’s electronic control system is by Magneti-Marelli and covers all engine, gearbox and automatic clutch management functions plus the data acquisition that is essential for drivers and engineers to unleash every fraction of the car’s performance. Driveability is also enhanced by the specially-designed Michelin tyres, while stopping power comes courtesy of ventilated discs with six-pot callipers at the front and four-pot at the rear. 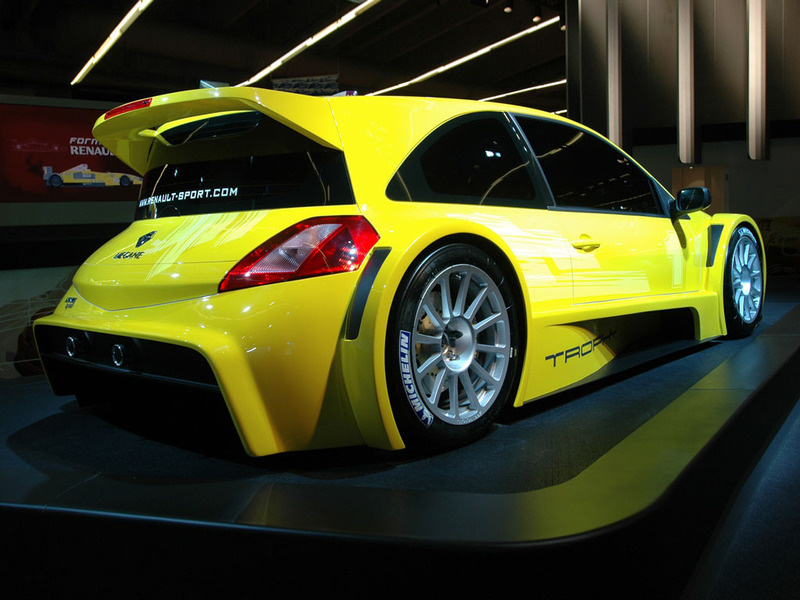 In dynamics terms, strong power-to-weight ratio and wind-tunnel developed aerodynamics, make MÃ©gane Trophy comparable with some GT racers. Next spring, around 30 Megane Trophy racers will feature in a championship covering eight European race meetings with two races at most venues. 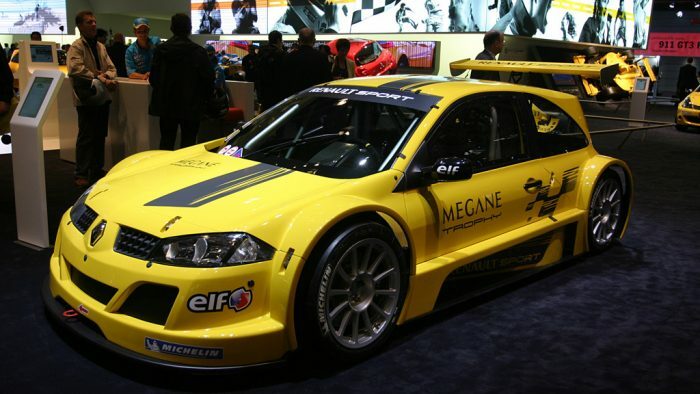 After its grand unveiling on the Renault Competition stand of the Paris Motor Show (Hall 7.2), the Megane Trophy will be given an initial shakedown at the end of October before the first development tests get underway in November.